EAU CLAIRE is the name of many small towns all over North America- there is one in Northern Ontario, another in Alberta, and another in Wisconsin. This body of work named Eau Claire has gone through many phases. 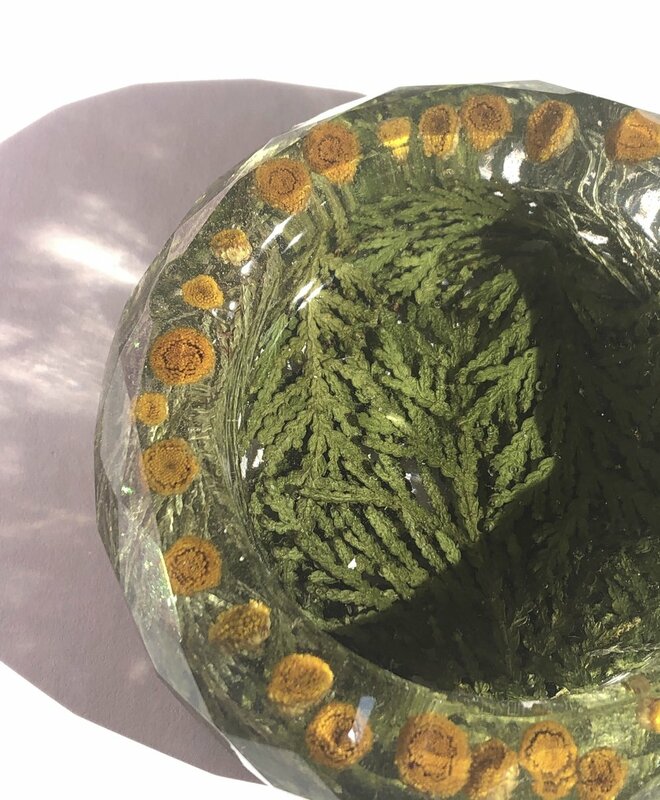 It started as a collaborative embroidery and bookmaking project with fellow craft artist Amy Egerdeen, transitioned into a solo embroidered suede jewelry line, and has finally settled into its final phase of Eau Claire Resin- a line of jewelry, paperweights and smoking accessories casting real flowers in resin. Featured here are a selection of Eau Claire works from the past year. I periodically update the offerings in my SHOP & promote all these updates on the Eau Claire Instagram account. If you see an object you’d like to commission please contact me!